Love music with soothing harmonies? Ernie Haase and band are back with their first new album in nearly almost three years! 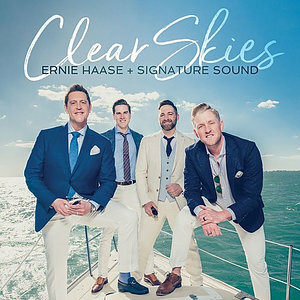 Clear Skies by Ernie Haase & the Signature Sound was published by Authentic Music in January 2018 and is our 31287th best seller. The ISBN for Clear Skies is 0643157443193. Be the first to review Clear Skies! Got a question? No problem! Just click here to ask us about Clear Skies. Now Playing: Clear Skies Your browser does not support the audio element.